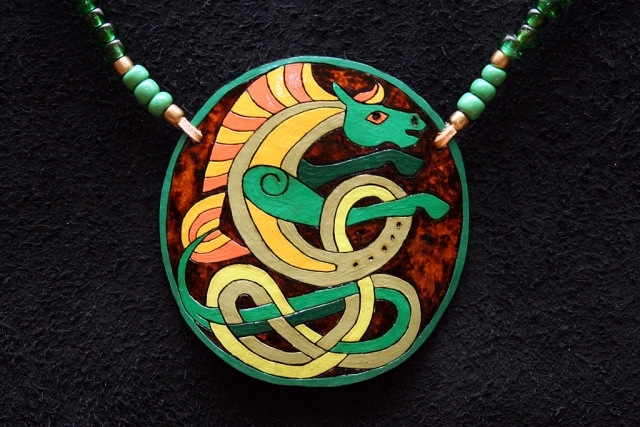 My fellow blogger at Behind the Bit has a recent post featuring some excellent handmade horse-themed jewelry! Take a look here. A reader sent an interesting link today - this article about an artist who is working on an enormous mural of horses. The artist, Susan Sommer-Luarca, is an interesting one: she specializes in giant murals, particularly of wildlife and animals, and many of her projects are designed to bring attention to issues such as wildlife conservation and Alzheimer's disease. Some of her horse-related projects have included giant paintings depicting the Triple Crown thoroughbred races. Check out her lovely website to see samples of her work, and read more about her life and art. She has a second website focused on her wildlife conservation work here. She'll even take suggestions for walls that need wildlife murals! Thanks for the tip, Fran! This Crioulo mare is wearing a typical gaucho bridle made of tightly woven rawhide. Most closures are made with knots and buttons, rather than buckles - there is very little metal in the bridle. 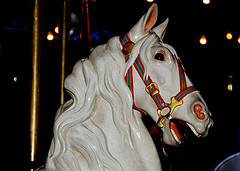 The reins are attached to the bit with leather straps, while the reins themselves are made of horsehair rope. The leather straps (called slobber straps in the USA) are easily replaced. Both bridle and reins are handmade, and involve hours of work. However they are very durable, and are made with readily available materials. What is particularly interesting to me is that this bridle design is not unlike the rawhide bridles sometimes used in the western USA. Take a look at this rawhide bridle, for example. Although it is a little fancier, with an ornamental bit and cute tassel, the braiding and button closures are identical. Or look at this one, from a recent auction. Again, slightly more ornamented, but not much. Fancier versions blend multiple colors of hide use decorative knots and tassles, like some of these. The knots often provide a way to adjust the fit of the bridle. Top Knot Horse Braids - two videos showing basic braiding (plaiting in British English) for manes and tails. A neat slideshow article about the life of a professional horse braider (not instructional). A cool promotional video for Lucky Braids' instructional video (main site here). Rocketbuster is a small shop in El Paso, Texas that makes the wildest, craziest custom cowboy boots you've ever seen. Everything's handmade to order, and they go nuts with the designs - from scenes of the old west to dancing Day of the Dead skeletons. Pop over to their website and take a look. It's worth the visit! The temples of Tamil Nadu, in India, are known for their impressive displays of terracotta votive statues. 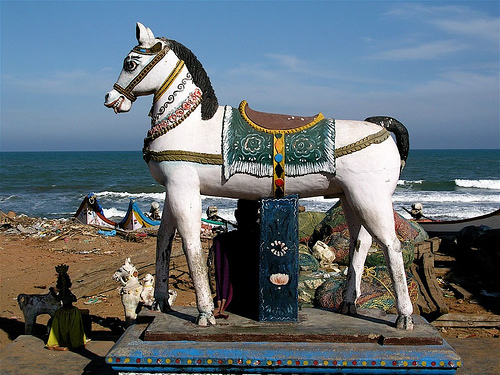 Many of these are of horses, constructed as offerings to the god Ayanar, whose warriors ride them at night in pursuit of demons. 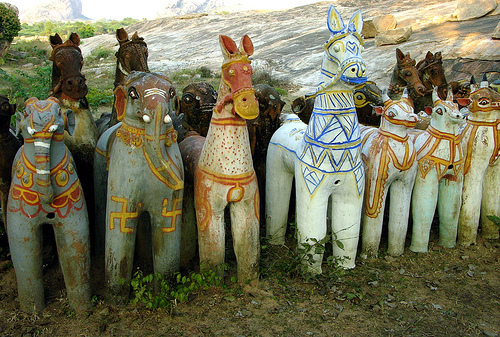 Above is a stand of horses and other animals from Palagret on flickr. 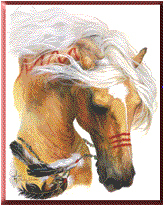 Solenaro Designs in New Jersey, USA, makes some unusual and innovative horse-hair jewelry. Using horse hair in art and design is not unheard of (traditional European furniture was often stuffed with horse hair, for example, and there is a tradition of horse hair bridles, ropes and other tack in Mexico and the southwest US). Solenaro's jewelry is beautiful and unusual, and they even make custom pieces from your own horse's hair. Check out their website.